Before all I had was a little shelf with my HOME letters (you can find the tutorial for those HERE) sitting on top. The main problem was my kids couldn’t all reach the hooks to hang their coats/backpacks so they would constantly be thrown on the floor. 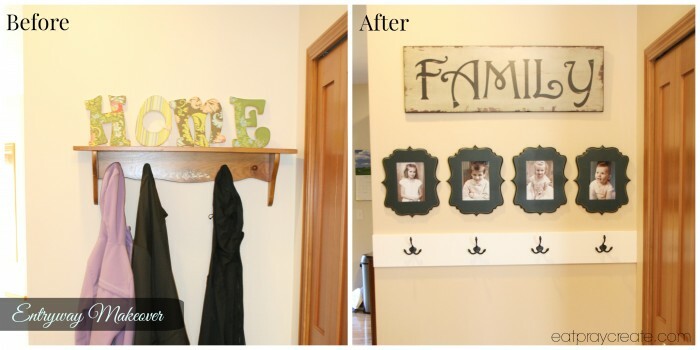 Here’s a simple step by step DIY tutorial so you can revamp your entryway too! 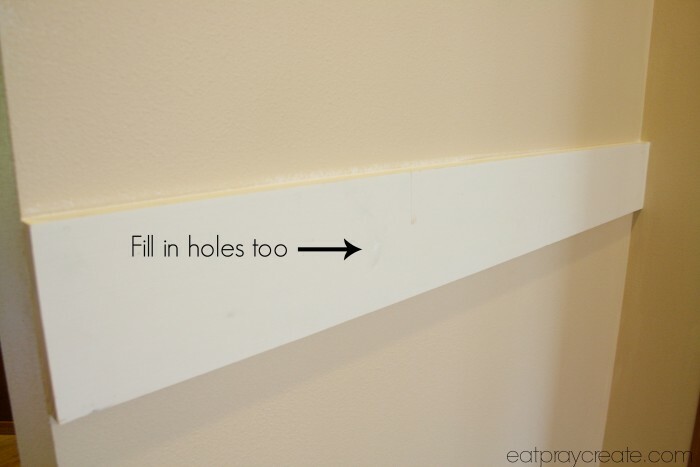 OTHER: Drill, screws, caulk (get the fast drying stuff), calk gun, calk cap, picture hanging hardware, hammer, white paint and your wall color paint, paintbrush, wet washcloth, level, stud finder, pictures for frames, measuring tape, pencil. 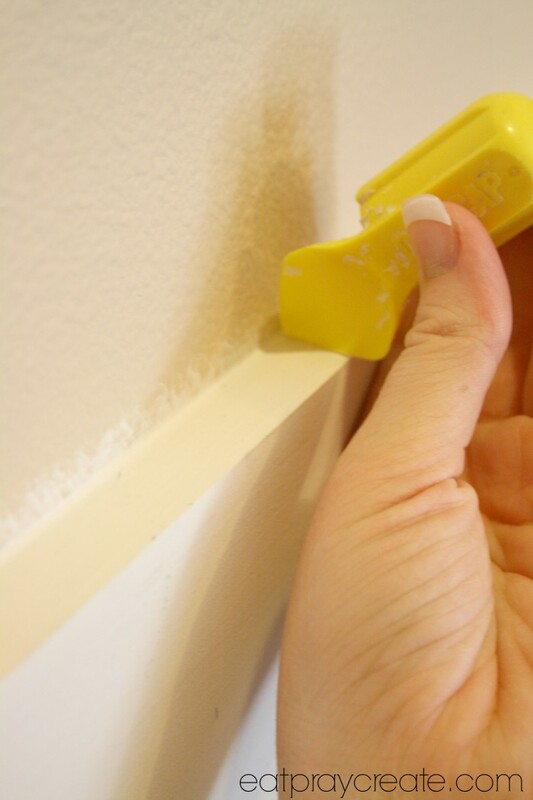 I also had this handy caulk cap that has an edge that clears up all that extra calk and makes the caulk flat along the seam. 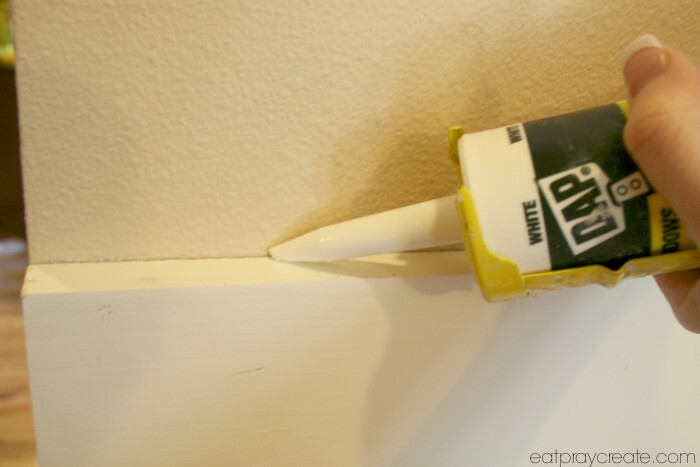 I also used the caulk to fill in the screw holes, also wiping away excess. While the caulk was drying I measured and hung my frames and sign. 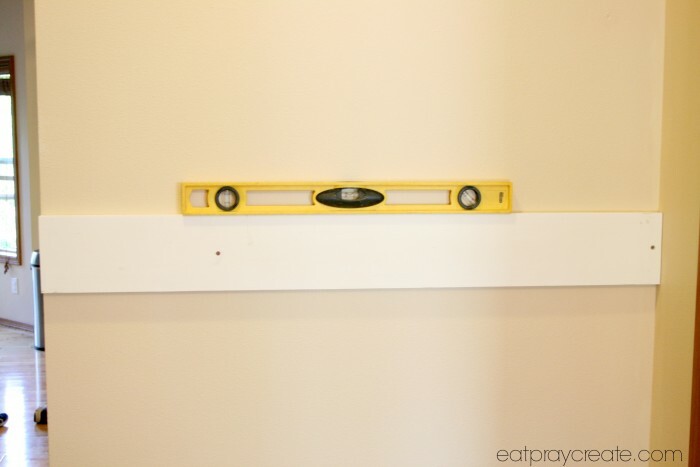 Then I painted over the board using white paint and a bristle paint brush. 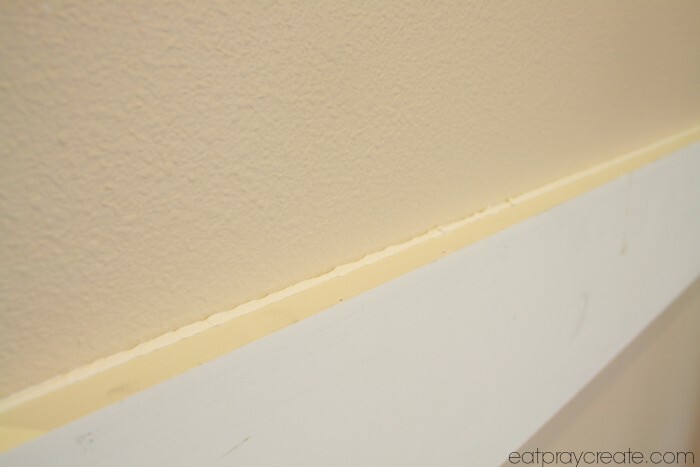 Once it dried I painted along the edge with my wall color paint (to make a nice line along the wall/board). Then I measured and marked where to place my hooks and drilled and screwed those in place. 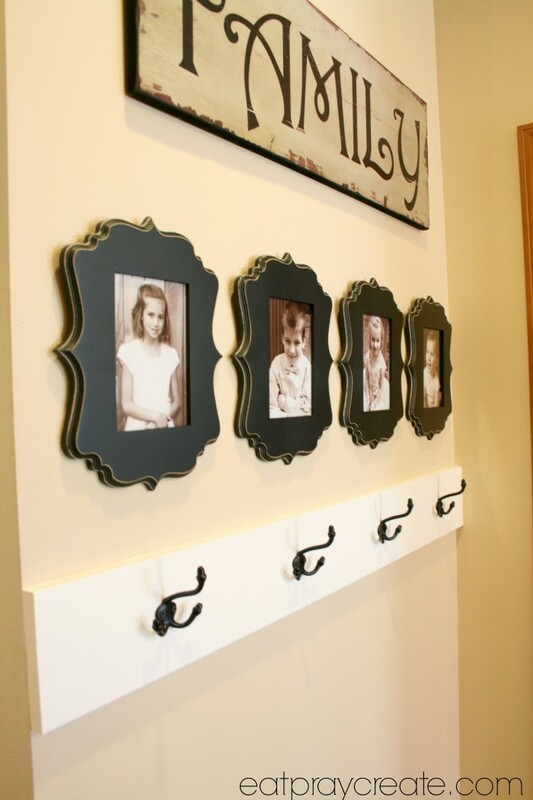 Finally I put my kids pictures in the frames and wa-lah… a beautiful new entry way! 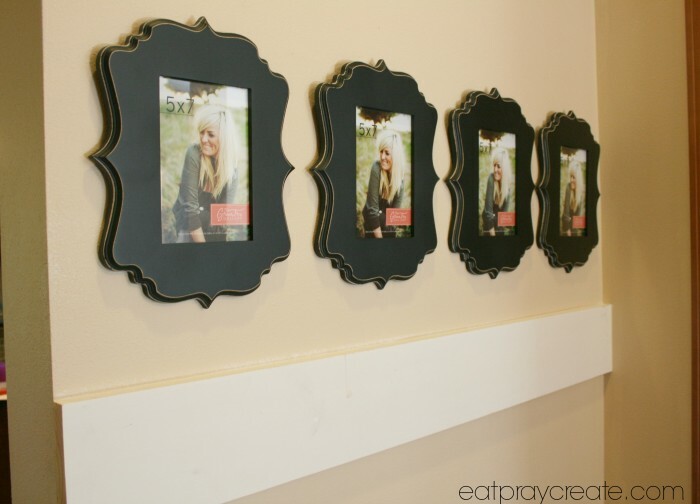 I just love how it turned out, I smile every time I walk in the front door! 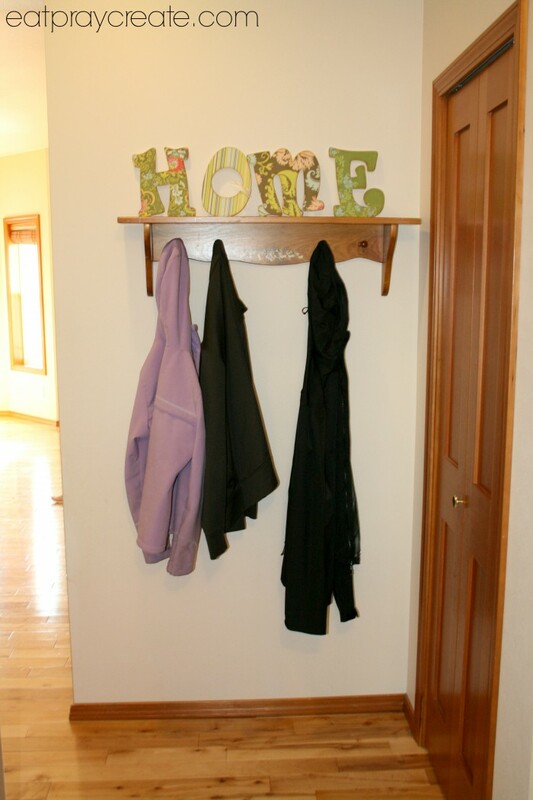 And I made it so the kids could reach and hang their own coats and backpacks. Thanks for stopping by the blog today! 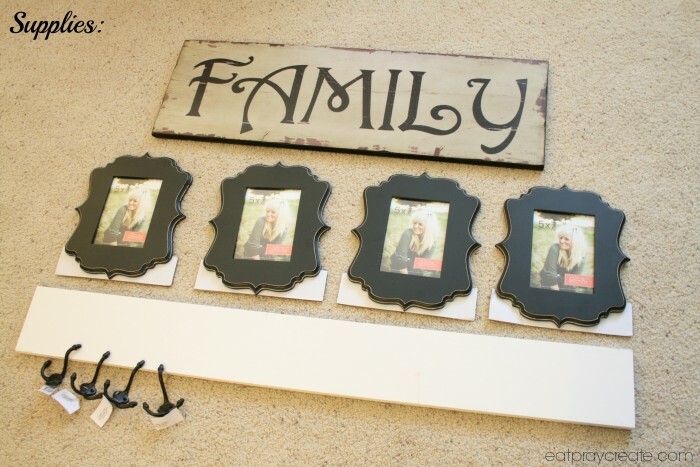 Be sure to check out our other home decorating projects HERE. Click HERE to see all the fun linky parties I link up to! Your makeover looks great. 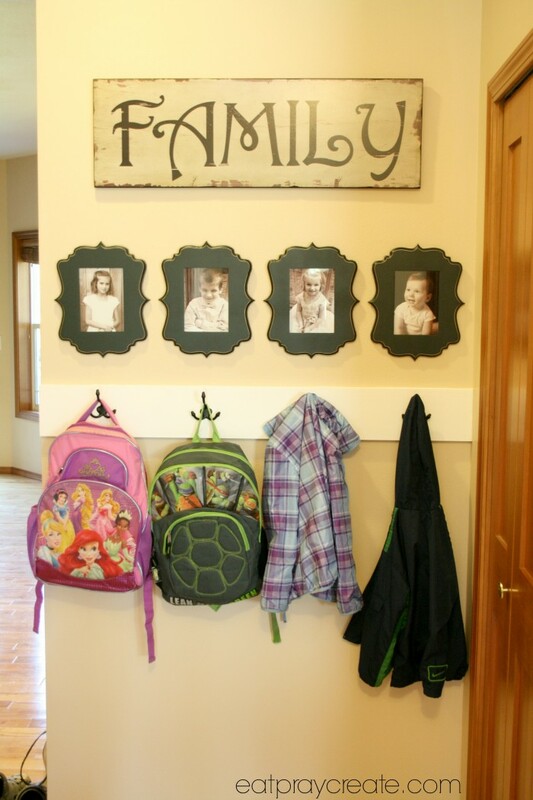 Kids need to have something to hang up their backpacks/jackets when they come in door or it ends up on the floor. Thanks for sharing on Merry Monday. 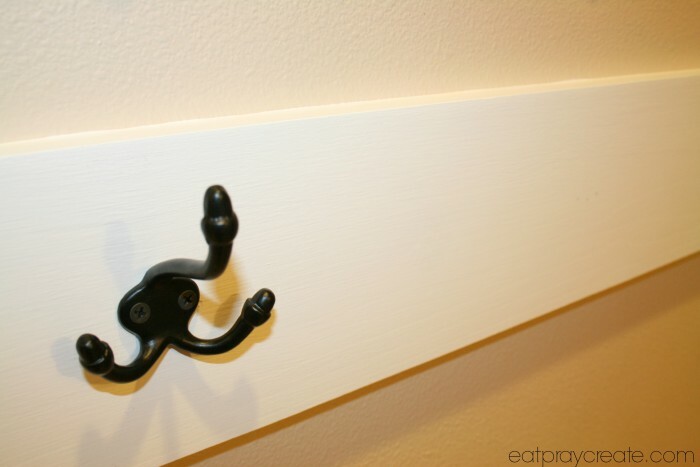 I love how you added the photos above the coat hooks! 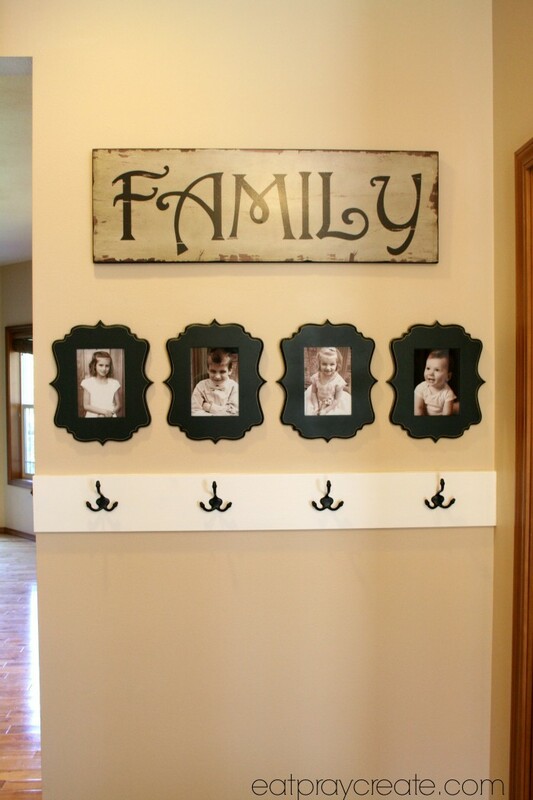 Our entryway is on my to-do list and I’m thinking something like this would look super cute in ours, too! Thanks for sharing at the Creative Inspiration party!